Euromid Observer for Human Rights has published a video tape showing Israeli Occupation Forces (IOF) while storming a home of two Palestinian elderly couple in the village of Silwad, in the West Bank, and turning their home into a military outpost. The Geneva-based Observer said that "in the night of 6 June 2014, at least 11 Israeli soldiers have taken over the home of Mohamed Ayad (73) and Nejma Ayad (68), who are holders of American passports, in the village of Silwad, in the West Bank, and turned their home into a military outpost." The report includes video footage, photographs and witness statements indicating that Mohamed and Nejma Ayad posed no imminent threat to the Israeli forces that have entered and taken up positions in their home. and home keys, and locked them up while using the rest of their house as a military observation and sniper position in preparation to the demonstrations expected later on that afternoon, according to the report. “At 3:00 am, the Israeli army knocked on the door, I opened and 11 soldiers pushed me out of the way and entered the house. They closed the doors, shut down the windows and held us captive. We didn’t know at that time what they wanted from us. I told them that only I and my wife live in this house and that there is no one else. They told us to shut up and took our cell phones, the keys of the house, and everything else. They locked us up in the living room for 14 hours,” the report quoted Mohamed Ayad as saying. “From 3:00 in the morning until 4:00 in the afternoon. We both didn’t eat during all this time; we were very stressed and terrified,” he added. Mrs. Ayad is 68 years old and is recovering from a pacemaker heart surgery. Mrs. Ayad testified to the Euromid Observer that "the Israeli soldiers tried to prevent us from opening the door when they heard the voices of the neighbors coming to our rescue. I was so scared, but the insistence of the neighbors to open the door is what made the soldiers go to the basement". She added that "when the soldiers were chased out, they began firing tear gas directly at the house in retaliation to the people who helped us and saved us from them as they were keeping us hostage". Few days ago 30-year-old Alaa Audah was killed by the Israeli soldiers in southern Nablus at Zaatara checkpoint, which has become a place to kill and terrorize Palestinian citizens. The Zaatara checkpoint is one of dozens inside the occupied Palestinian territories, restricting the movement of people and goods. It's the only passage between the northern and central West Bank areas and has witnessed many crimes of "willful killings" by Israeli forces against Palestinian citizens. A taxi driver, Walid Obeid, told PIC's correspondent that Zaatara is the worst military checkpoint in the West Bank, being a compulsory passage for the Palestinians and the settlers in the region. It is surrounded by military towers and checkpoints linking four main crossroads, he added. Lawyer Mohammed Kamanji, coordinator of the Independent Commission for Human Rights in Jenin, said in statements to the PIC that the Israeli forces have executed many Palestinians at the Zaatara checkpoint, based on fabricated and unconvincing stories, which proves that a group of extremist soldiers are controlling the checkpoint. A report published by the Israeli Walla website on June 5 mentioned that the soldier who killed Alaa Audah at Zaatara checkpoint is the same one who killed Bashir Habanin in November 2013, at the same roadblock. "A number of Israeli border guards at Zaatara checkpoint claimed that a Palestinian man standing at the bus station near the checkpoint was carrying an improvised weapon and firing it repeatedly and that the soldiers shot him "to prevent causalities". The young man died on the spot and the soldier who committed the crime received a certificate of appreciation from the Israeli police chief Danny Danino," the report said. Concerning the execution of the martyr Alaa Audah, the Israeli forces claimed that the victim opened fire at them, so one of the soldiers shot and killed him. PCHR said there were no eyewitnesses in the area at the time to deny or confirm that claim, while the soldier's story contradicts with the one told by the spokesman for the Israeli army, which confirms that the story is fabricated. Human rights activist Kamanji noted that the Zaatara checkpoint has a strategic importance to the occupation, as it separates the northern part of West Bank from the rest of its areas. There are more than 90 military checkpoints in the West Bank, where the Palestinian citizens are exposed to daily oppression, killing, intimidation and detention, Kamanji stated. He added that the checkpoints have prevented economic growth, as they affect the transport of goods between the cities, and prevent territorial contiguity between the provinces. The Palestinian Centre for Human Rights (PCHR) has succeeded in ensuring remedy for the family of 'Ahed al-Telbani, from al-Maghazi refugee camp in the central Gaza Strip, who was killed by the Israeli forces 13 years ago. Following years of legal work and persistent follow-up, a settlement was concluded with the Israeli Military Advocate General’s representatives to pay 175,000 NIS for the heirs of the aforementioned civilian in exchange for closing the case. Procedures to deliver this amount to the family are now in process. On 31 January 2001, Israeli forces stationed at al-Shuhadaa’ intersection "previously called Netzarim", south of Gaza City, opened fire at a cap belonging to al-Telbani from a very close range while he was passing the intersection. As a result, he was killed. On 07 February 2001, PCHR followed up the case after being given a power of attorney by the family of the victim, who is married and a father of 8 children. PCHR submitted complaints to each of the Israeli Military Advocate General and the Israeli Ministry of Defense to take the necessary legal action to hold the perpetrators accountable for willfully killing al-Telbani. In 2004, PCHR filed a case before the District Court of al-Gedera on behalf of the heirs of al-Telbani. Over the past years, the lawyers at PCHR’s Legal Unit followed up the case until the Court decided on 15 February 2010 to dismiss the proceedings. Eyewitness were not able to give their testimonies before the court as the Israeli authorities refused to give them necessary permits to pass via Beit Hanoun (Erez) crossing to attend the court's sessions. On 31 December 2010, PCHR appealed the court’s decision and managed to get the case back on the court roll as the court accepted the affidavits of the eyewitnesses instead of their testimonies in person before the court. Several court hearings in the case were held over the past years, during which PCHR supported its claim by evidences confirming the Israeli forces’ responsibility for al-Telbani’s death in circumstances that did not require the use of weapons. According to eyewitnesses, the area then did not witness any clashes and passing through the intersection was permitted. This means that the Israeli forces willfully killed al-Telbani in a blatant violation of the most basic concepts of humanity, domestic laws and international human rights instruments. This is not the first time that PCHR achieves success in regard to efforts to prosecute war criminals via Israeli courts. PCHR had achieved other successes in this field, the latest of which was in October 2013, when PCHR succeeded in ensuring a compensation of 498,000 NIS for the families of 3 Palestinian children, who were killed by Israeli forces in 2001, i.e. around 166,000 NIS for each family. In this context, PCHR emphasizes two facts. First, PCHR’s lawyers have exerted extraordinary efforts for long years to achieve these results and that way to access to justice, even though in regards to a limited number of cases, is difficult and painstaking and requires abnormal efforts. Second, these successes by all standards and criteria are limited ones and only for exceptional cases as thousands of cases, which PCHR filed on behalf of the Palestinian victims, have not been settled yet or were dismissed due to the issuance of military orders, amendments to the legislations or decisions taken by judges while considering the cases. PCHR will continue its efforts to prosecute suspected Israeli war criminals before Israeli courts, or national courts of other countries based on the principle of universal jurisdiction to ensure that Israeli war criminals do not evade justice, and to ensure remedy for thousands of Palestinian civilians who have been affected by Israeli practices and crimes. Mordechai Vanunu is due to attend an event organized by Amnesty International in London on 17 June to promote the protection of whistleblowers including Edward Snowdon and Chelsea Manning. He has also been invited to address the British parliament on 18 June. “The continued punishment of Mordechai Vanunu for blowing the whistle on Israel’s nuclear arsenal 18 years ago is vindictive and utterly groundless,” said Philip Luther, Director for the Middle East and North Africa Programme at Amnesty International. A decade after his release from prison Mordechai Vanunu is barred from leaving Israel. He is also banned from entering foreign embassies, or taking part in internet chats and speaking to foreign journalists without prior permission. 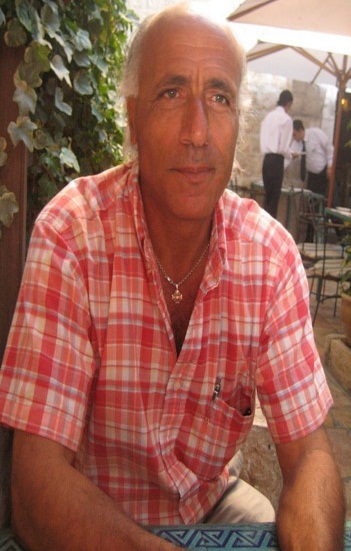 Mordechai Vanunu served an 18-year prison sentence for revealing information about Israel’s nuclear arsenal to The Sunday Times in 1986. He spent the first 11 years of his prison term in solitary confinement. The Israeli authorities say he still poses a threat to national security. According to B'Tselem, the Israeli Information Center for Human Rights in the Occupied Territories, over 300,000 Israelis live in more than 200 settlements and settlement outposts throughout the West Bank -- all established in contravention of international law, some even in contravention of Israeli law. Additional lands were confiscated for settler bypass roads, highly militarized checkpoints have been constructed in order to channel Palestinian movement away from settlements, Palestinian farmlands have effectively become off-limits to their owners. The massive "Separation Barrier" was established within the West Bank so as to keep as many settlements as possible on the "Israeli side". The presence of Israeli security forces is needed in the West Bank, according to the report, to protect the settlers, resulting in daily friction between Israeli troops and Palestinian residents and often leading to human rights violations by security forces, including acts of violence and illegal gunfire. Under the Oslo Accords, the Palestinian Authority (PA) was established and control of the West Bank was divided between PA security forces and Israel, with Israel retaining full control over 60% of it, labeled Area C.
Furthermore, the rest of the West Bank -- not contiguous but made of 'islands', where most of the Palestinian population lives -- was handed over to the PA for full or partial control and labeled Areas A and B. Most Palestinian land reserves, including those for Areas A and B, remained in Area C, with Palestinians left to seek Israeli permission to expand their communities, build factories, lay water-pipes, and so on. Israel controls all passage between the West Bank and towns in Areas A and B, and Israeli security forces regularly enter and patrol PA territory. Settlements in occupied Palestine are Jewish-dominated civilian communities built on lands confiscated by Israel during the 1967 Six-Day War, existing in the West Bank, East Jerusalem, and in the Golan Heights region. Meanwhile, Israel continues to expand its settlements in the West Bank, regardless of the Oslo Accords, which specify in article 31 that neither side will take any step to change the status of the West Bank and the Gaza Strip, pending the outcome of the permanent status negotiations. However, the expansion has continued virtually unchallenged, despite condemnation from nearly all other nations and the United Nations, to whose resolutions Israel is signatory. 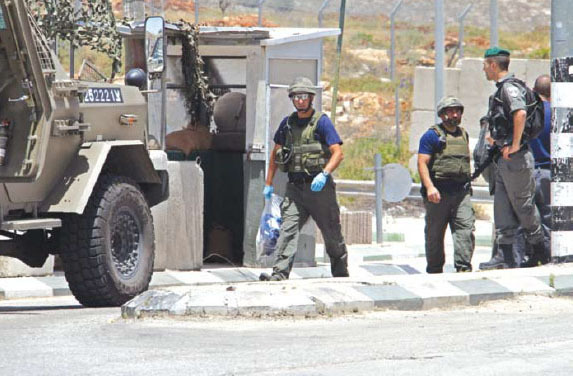 In its Weekly Report On Israeli Human Rights Violations in the Occupied Palestinian Territories for the week of 29 May- 04 June 2014, the Palestinian Center for Human Rights (PCHR) found that Israeli forces killed a Palestinian civilian at Za’atrah checkpoint, south of Nablus. Two Palestinian civilians, including a child, were wounded in occupied Jerusalem. In addition, Israeli forces continued to use excessive force against peaceful protesters in the West Bank. A Danish activist and a Palestinian civilian were wounded. Israeli forces conducted 80 incursions into Palestinian communities in the West Bank this week. 40 Palestinian civilians, including 7 children, were abducted. In the West Bank, Israeli forces stationed at Za’atrah Checkpoint, south of Nablus, killed ‘Alaa’ Mohammed ‘Awad (30) from Howwarah village, south of Nablus. Israeli forces claimed that the victim fired at them and injured a soldier lightly, but no eyewitnesses were in the area at that time to deny or confirm the Israeli claim. A PCHR field worker was able to obtain a testimony from the taxi driver who transported 'Awadh. The driver confirmed that 'Awadh was not carrying anything when he transported him to the checkpoint. In the same context, Israeli forces used excessive force against peaceful protests organised by Palestinian civilians, international and Israeli human rights defenders in protest at the construction of the annexation wall and settlement activities in the West Bank. As a result, a Danish activist, Mariah George Soul (24), was hit by a tear gas canister to the right knee during a Nil’in weekly protest. Moreover, a 20-year-old protestor was wounded by a bullet to the right thigh during Nil’in weekly protest, west of Ramallah and al-Bireh. In addition, a number of demonstrators suffer tear gas inhalation and other sustained bruises due to being beaten up by Israeli forces. On 01 June 2014, two Palestinian civilians, including a child, were wounded in the Old City in occupied Jerusalem when Israeli forces fired rubber-coated metal bullets at dozens of Palestinian civilians who gathered in al-Wad Quarter to celebrate the release of two prisoners, ‘Ammar al-Hosari and Ahmed Abu Farhah, from the Israeli prisons. In Jerusalem, Israeli troops bulldozed a house, 4 wash car garages and 2 auto mobile garages in addition to a horse barn. 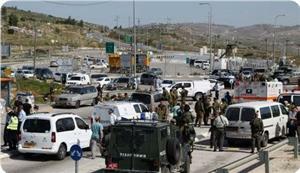 Israeli forces established dozens of checkpoints in the West Bank. At least 8 Palestinian civilians, including 2 children, were abducted at military checkpoints in the West Bank. In the Gaza Strip, on 02 June 2014, Israeli warplanes launched a missile at “Hiteen” training site of an armed group, northwest of Khan Younis in the southern Gaza Strip. The missile left a large crater in the area and damaged empty greenhouses. No injuries were reported. In the Gaza Strip, on 01 June 2014, Israeli forces carried out two limited incursions in the southern Gaza Strip. Israeli forces backed by heavy military vehicles moved around 100 meters into the east of al-Shokah village, east of Rafah in the southern Gaza Strip. They levelled the lands along the border fence for around 4 hours and then re-deployed along the aforementioned border fence. Israeli forces backed by heavy military vehicles moved around 200 meters into al-Fokhari village, southeast of Khan Younis in the southern Gaza Strip. They levelled the nearby lands and fired artillery and smoke shells indiscriminately. No injuries were reported. Israel continued to impose a total closure and has isolated the Gaza Strip from the outside world. An international organization worker was abducted at Beit Hanoun “Erez” Crossing in the northern Gaza Strip. On 01 June 2014, Israeli forces accompanied by a vehicle belonging to the Construction and Organization Department in the Israeli Civil Administration moved into the agricultural lands in the vicinity of Kherbet Um al-Kheir area, east of Yatta, south of Hebron. They deployed in the area and a Construction and Organization officer handed ‘Eid Yamen al-Hathalin a notice to halt construction works, including removing the barbwires which surround his 150-dunum land. On 02 June 2014, Israeli forces removed arbors used by the residents of Beit Ummar village, north of Hebron, to sell fruits and vegetables near Jerusalem-Hebron bypass road 60. On the same day, Israeli forces confiscated a tractor belonging to ‘Ali Dawoud Ghayyad al-‘Allami when he was on his way back from his land in Khelet al-Sheikh area adjacent to Beit Ummat village, north of Hebron. They abducted his son ‘Ammar and took him to “Kermi Tsour” settlement. As a result, Maria Gorge Soul (24), a Danish solidarity activist, was hit by a tear gas canister to her right knee during Bili'n weekly protests. In addition, a Palestinian protestor sustained a bullet wound to his right thigh during Nili'n weekly protest, west of Ramallah. Several protestors suffered tear gas inhalation and others sustained bruises as they were beaten up by Israeli soldiers. At approximately 10:00 on Friday, 30 May 2014, dozens of Palestinian civilian LGDns and international human rights defenders organized a peaceful demonstration in the center of al-Ma'sara village, south of Bethlehem, in protest at the construction of the annexation wall and settlement activities. Demonstrators took the streets and headed to the annexation wall. Israeli soldiers arrived at the place to prevent the protestors from moving towards the wall. Many civilians sustained bruises as they were beaten up by Israeli soldiers. Moreover, Israeli soldiers sound bombs and tear gas canisters at the demonstrators. As a result, many protestors suffered tear gas inhalation but no abductions were reported. Following the Friday Prayer on the aforementioned day, dozens of Palestinian civilians and international and Israeli human rights defenders organized a peaceful demonstration in Bil’in, west of Ramallah, in protest at the construction of the annexation wall and settlement activities and in solidarity with Palestinian prisoners on hunger strike. Demonstrators took the streets raising the Palestinian flags and headed to the liberated territories near the annexation wall. Early in the morning, Israeli forces closed all entrances to the village to prevent Palestinian civilians and international and Israeli human rights defenders from participating in the protests. Israeli soldiers stationed behind the wall, in the western area, and a large number of soldiers deployed along it, fired live bullets, tear gas canisters, rubber-coated steel bullets, sound bombs and waste water at them and chased them into the olive fields. As a result, Maria Gorge Soul (24), a Danish solidarity activist, was hit by a tear gas canister to her right knee. In addition, several demonstrators suffered tear gas inhalation and others sustained bruises as they were beaten up by Israeli soldiers. Around the same time, dozens of Palestinian civilians organized a peaceful demonstration in Nil'in village, west of Ramallah, in protest at the construction of the annexation wall and settlement activities and in solidarity with the Palestinian prisoners on hunger strike. The demonstrators made their way towards the annexation wall. Israeli forces closed the wall gate with barbwire and, when the demonstrators attempted to access the lands behind the barbwire, they were stopped by Israeli soldier. The demonstrators threw stones at the Israeli soldier who responded with live ammunition, rubber-coated metal bullet, sound bombs, tear gas canisters, and waste water at them and chased them into the village. As a result, one demonstrator (20) sustained a bullet wound to his right thigh. In addition, several demonstrators suffered tear gas inhalation and others sustained bruises as they were beaten up by Israeli soldiers. Around the same time, dozens of Palestinian civilians and international and Israeli human rights defenders gathered at the Martyrs Square in al-Nabi Saleh village, northwest of Ramallah, to hold a weekly peaceful protest against the construction of the annexation wall and settlement activity and in solidarity with the Palestinian prisoners on hunger strike. Protestors made their way in the streets raising the Palestinian flag and chanting slogans against the occupation and in support of the inalienable rights and resistance against the Israeli occupation. The protestors walked towards Palestinian lands that Israeli settlers from the nearby Halmish settlement are trying to seize. Since the morning, Israeli forces had closed all entrances of the village to prevent Palestinians, international activists, and journalists from joining the demonstration. Upon their arrival at the area, Israeli soldiers fired live ammunition, rubber-coated bullets, sound bombs, and tear gas canisters, and chased the demonstrators into the village and sprayed them with waste water. As a result, many demonstrators suffered tear gas inhalation, and others sustained bruises due to being beaten up by Israeli soldiers. Around the same time, dozens of Palestinian civilians organized a peaceful demonstration in the centre of Kafr al-Deek village, west of Salfit, towards Dhaher Sobeh area, which is under the threat of confiscation, in protest at settlement activity and land confiscation. As the protestors arrived in the area, Israeli soldiers fired sound bombs and tear gas canisters. As a result, many civilians suffered tear gas inhalation, and no injuries were reported. At approximately 13:35 on the aforementioned day, dozens of Palestinian civilians and international activists organized a peaceful demonstration in the centre of Kafr Qaddoum village, northeast of Qalqilya, in protest at the closure of the eastern entrance of the village with a metal gate since the second Intifada. Protestors threw stones at the Israeli soldiers who fired live bullets, tear gas canisters, rubber-coated steel bullets, and sound bombs in response. As a result, many civilians suffered tear gas inhalation and others sustained bruises due to being beaten up by Israeli soldiers. At approximately 11:00 on Saturday, 1 June 2014, activists from national forces in cooperation with Hebron Defense Committee in addition to city residents organized a peaceful demonstration at the entrance of al-'Arroub refugee camp in solidarity with the Palestinian prisoners on hunger strike. Demonstrators took the streets raising the Palestinian flags and chanting slogans against the occupation. Israeli soldiers moved into the area and deployed in order to distance the demonstrators from the area and stop journalists from covering the event. The Israeli soldiers then fired live ammunition, rubber-coated bullets, sound bombs, sound bombs and tear gas canisters at the demonstrators. As a result, some of them suffered tear gas inhalation. In addition, Israeli soldiers chased youngsters and abducted Majed Taiseer al-Titi (17) and took him to an unknown destination. They closed the camp's entrance and searched vehicles. At approximately 16:30 on Wednesday, 4 June 2014, activists from national and Islamic forces in cooperation with Hebron residents gathered before al-Sharawi Mosque in Ras al-Joura, in the northern area of the city. Demonstrators, who were mostly women, headed towards the northern entrance of the city which is connected to Bypass Road (60) raising the Palestinian flags and chanting slogans against the occupation. Israeli soldiers moved into the area and deployed in order to distance the demonstrators from the area and stop journalists from covering the event. The Israeli soldiers then fired sound bombs and tear gas canisters at the demonstrators and sprayed them with waste water. As a result, demonstrators were forced to leave the area. Due to the number and severity of Israeli human rights violations this week, the Palestinian Center for Human Rights made several recommendations to the international community. Among these were a recommendation that the Palestinian leadership sign and accede to the Rome Statute of the International Criminal Court and the Geneva Conventions, and calls upon the international community, especially the United Nations, to encourage the State of Palestine to accede to international human rights law and humanitarian law instruments. 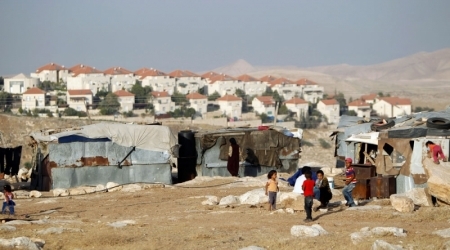 Palestinian Office of the Public Land Defense Committee said the Israeli government announced tenders for the building of 3300 settler houses in the occupied West Bank in the period from May 31 to June. 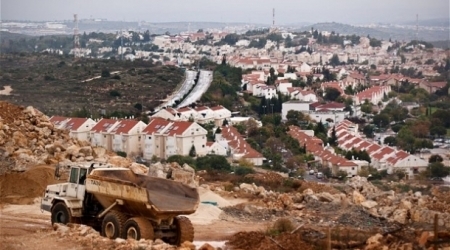 The financial committee of the Knesset approved a budget of NIS 170 million for the building of 1500 new settlement homes in occupied east Jerusalem and the West Bank and announced tenders for additional 1800 homes soon after that, the committee said in its weekly report issued on Saturday. Both Israeli announcements were reportedly in response to the Palestinian unity government, which angered ‘Israel’, spurring the occupation state to restrict movement of Palestinian officials from and to the West Bank, and limit cooperation with the Palestinian Authority to the security level. They also demolished greenhouses and a commercial building in the Hezma town, north-eastern Jerusalem and confiscated the property within. They seized as well goods and fridges from a shop in the same locality, the report added. In Hebron, Israel’s Supreme Court ordered to legitimize the "Abigail" settlement outpost accommodates seven houses built on the Susia area, south of Hebron. In this context, Israeli authorities demolished the and the 'Etzion' outpost municipal council demolished the street tents used as shops by the Palestinian farmers of the Hebron town of Beit Ummar, and damaged the fruits and vegetables within, the office said. The occupation forces took over a tractor owned by a citizen of the Beit Ummar town. Settlers beat two Palestinian minors and a citizen in his thirties, and others attacked Khirbet Um El-Kheir, in the south of the Hebron.